The best way to practice and learn acupuncture ! Since the very first version in 2011, each and every year we listened to our users. We regularly published updates packed with new features and new content. 2018 is the year we welcome all the TCM English-speaking community to enjoy the the best and most complete acupuncture software today. 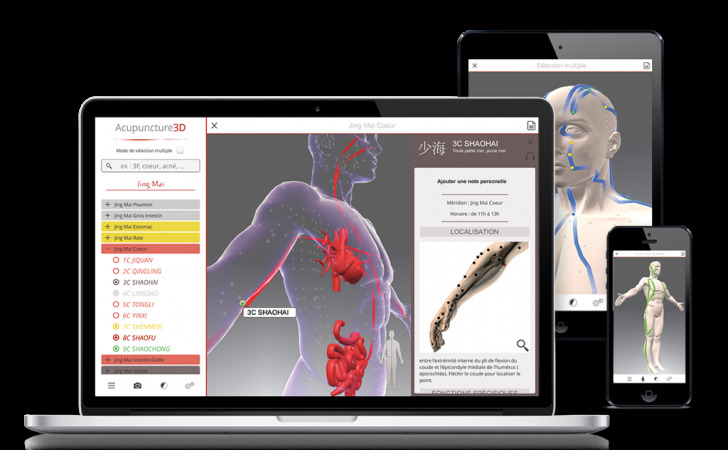 Enjoy cuting edge 3D technology and up-to-date content with Acupuncture 3D. And, you know what ? Updates are free ! 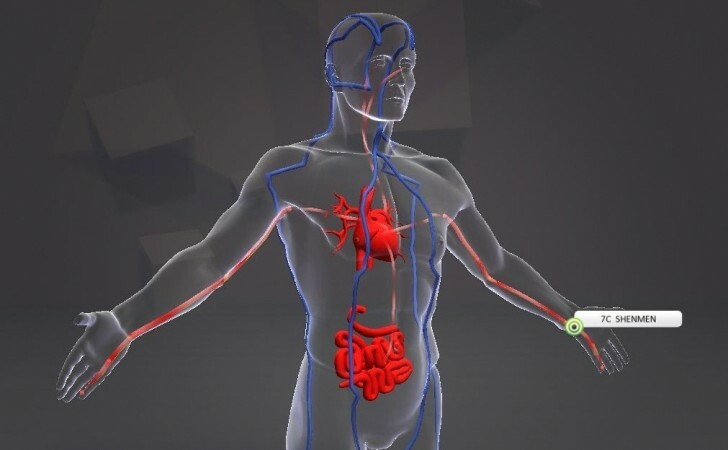 Intuitive and interactive control thanks to real-time 3D. Rotate, zoom, move instantly ! We created Acupuncture 3D with a technology used for video games to ensure a 3D fluid, fun and fast display of the data. Whether with your fingers on a tablet or moving a computer mouse you have a high degree of interactivity. We dedicated a great amount of energy in making the software as intuitive, beautiful and pleasant to use every day. You will discovers all 68 channels organized by type (Jing Mai, Jing Bie, ...). 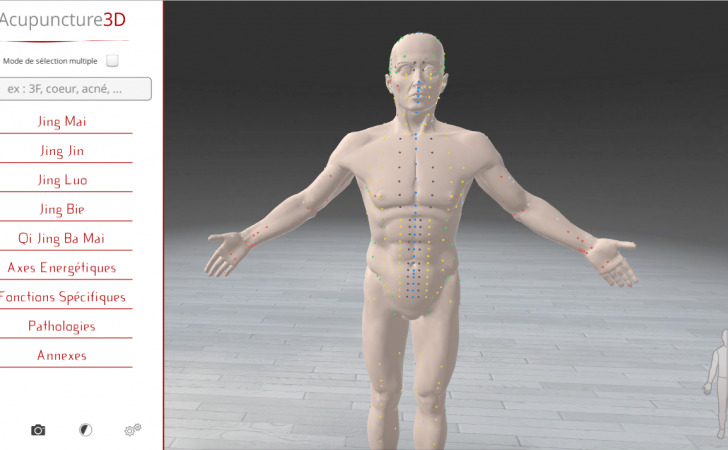 Then browse through their list of acupuncture points, click and discover their location ! its therapeutic indications and more. 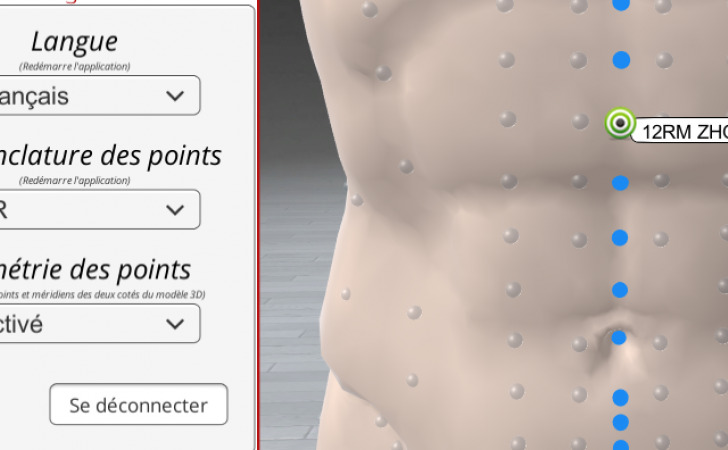 Learn the points by function using specific menu functions (eg : Xi-cleft points, Tian points, Yuan-source points and more). Listen to the exact Chinese pronunciation of the names of the points and the 12 main Channels with an authentic Chinese voice audio recording. Here is a sample. 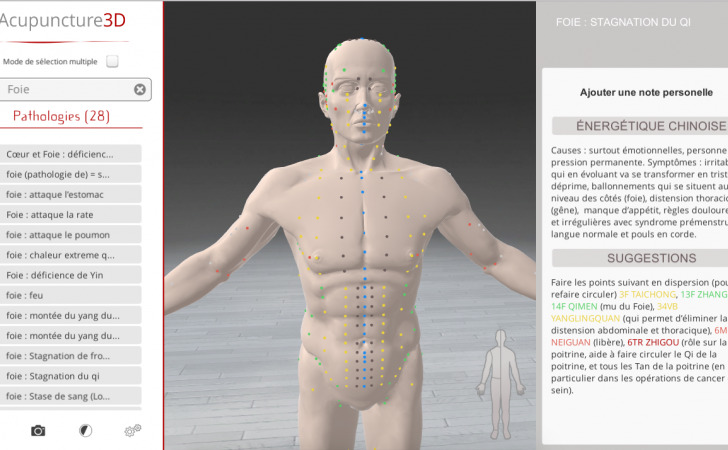 Discover 1000+ pathology and syndrome files in order to connect theory with practice of acupuncture. You will read many explanations and advice. This database is updated annually, expanding the content on an ongoing basis. You can also add your personal notes. 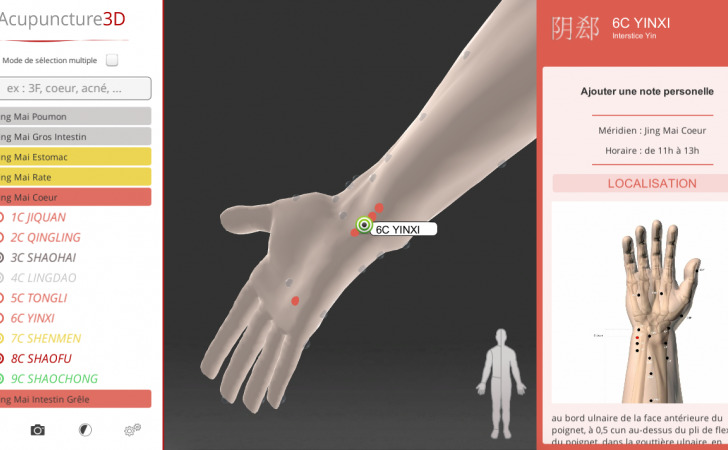 You can record your own personal notes relating to each acupuncture point, pathology/syndrome, or channel and save them in your Acupuncture3D account for future reference. They will be synchronized with your account in the cloud for your permanent access and protection against data loss. This will allow you to adapt your software to your personal background and preferences, while also facilitating your understanding of international conventions. 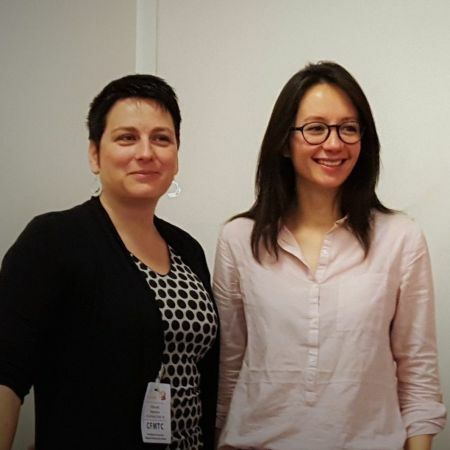 Welcome to English-speaking acupuncture professionals and enthusiats. You now have the option of one-click selection between French and English. And it's free ! Select from the drop-down menu by directly typing a keyword or point number. For example: If you choose to view a point, it will automatically appear on the model and thus allow you to locate it directly. Data tables available: The 5 phases/elements and a table of the key points plus 6 new appendices which summarize in tabular form some of the major topics of Chinese medicine, including: "Qi", "Blood", "Nutrition", "Liquids", "Psychology" and The Marvelous Vessels (also known as the Strange Flows or Extraordinary Meridians). We regularly add content to the points, channels and pathology files. This content is automatically updated when your device is connected to the Internet. 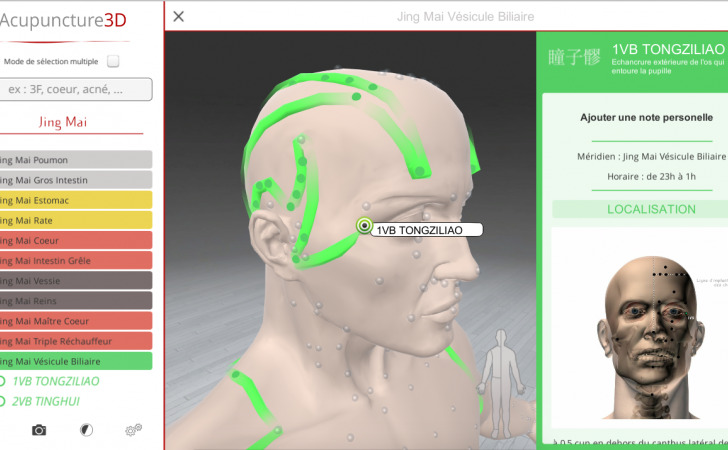 The Acupuncture 3D Chân Ly software is originally the fruit of inspiration : An inspiration born of need, coupled with some remarkable encounters. We are two young women, both enthralled by Chinese medicine. One day we decided to combine our projects; two rivers which, at just the right time, flowed together along the same "way." We are now partners in the creation of SAS Chân Ly.